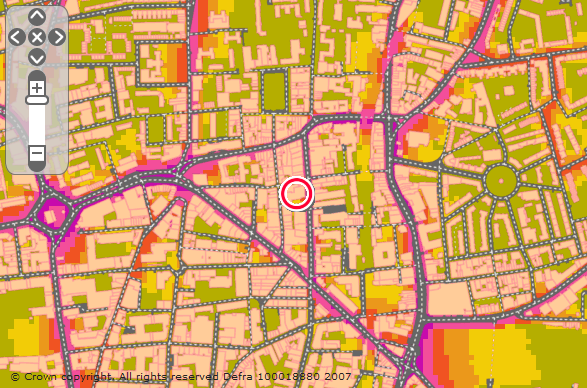 Noise Mapping London: Audio Tourism. My cousin does this – standing on a street corner all day in some bland suburb of London, microphone in hand, recording the average volume of environmental sound. The data is collected and projected over a London street map to form a graphic visualisation of the changing volumes throughout the city. 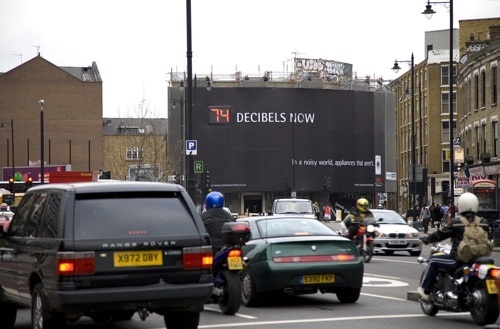 this is part of DEFRA’s “National Ambient Noise Strategy” who’s aim is to provide us and ‘policy makers’ with a source of sound data for the whole of England. The map, though fascinating, seems to me to be of little value because volume is not the only parameter in determining the annoyance factor of ‘noise’. Equally relevant are duration, repetition, pitch, timbre, time( the noise of the city animated over one day), and frequency. And, DEFRA assume that all noise is inherently annoying. My thesis is that the map should become a tourist map of London defined by it’s unique sound as much as by it’s geography, architecture and so-on. At the same time as capturing volume data, all other aspects of noise can be measured and visualised giving an invaluable and unique ongoing audio-visual symphony of London. London is noise:For instance where i live in east London ( marked a dark brown on the map for ‘reasonably quiet’ ) is bathed in an ever present low volume but high pitched susurrus generated by traffic on the A12 – the sound spill from the motorway gives this area a unique feel and interestingly where the noise peters out, the social demographic radically changes. Time plays it’s part: in the morning the low almost inaudible mumbling of the underground trains at 6am in Whitechapel and the sounds of the first aeroplanes circling the city, a descending tone as they drop down to Heathrow (Sarah says the sound of the banking planes changes from summer to winter and that the winter sound she finds depressing – i had never noticed the difference). Each city has it’s own audio fingerprint: the time i spent in Lisboa had the backing sound of the Ponte 25 Abril (inaudible to the Lisboans), the sound of angry bees made by cars on the resonating bridge (i heard this sound again later in Oxford where the noise from the unusually corrugated surface of the a34, several miles away, drove my friend from his rented, supposedly tranquil rural bolthole). Hanoi is the scooter horn and the early morning rumble of a single advancing tidal wave of noise as the traffic en mass, enters the the sleeping city.